The biggest pink party in Singapore! 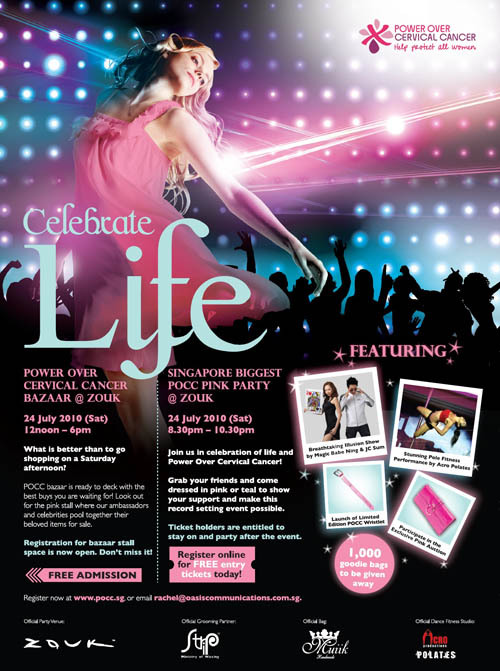 So, continuing the fight with cervical cancer, POCC (Power Over Cervical Cancer) will be throwing the biggest pink party in Singapore, at Zouk next saturday! I can’t wait! It’s going to be a full day of excitement starting with an afternoon bazaar (yes, at Zouk, too), followed by a night of fun, fun partying! The bazaar with start at 12 pm. POCC ambassadors and celebrities will donate items for sale at the bazaar stalls, so expect to find lots of interesting goodies! You don’t just have to be a shopper. You can rent a stall and put up items for sale, too! Do it quickly to reserve your space. Yes, this is open for everyone! 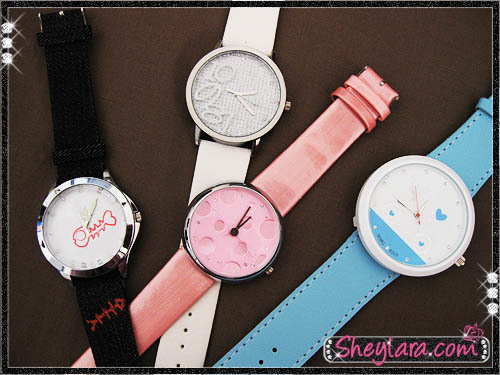 The bazaar ends at 6 pm so you’ll have plenty of time for shopping! At 8:30 pm, the real party starts. 1,000 goodie bags are up for grabs at the party! Expect to be entertained by a magic show, a stunning pole fitness performance and a “Fashion Walk” by POCC ambassadors. Yes, I’m part of that. I can’t give you the details now. Come and see for yourself! You’re highly encouraged to come dressed in pink or teal (POCC official colours) to show your support for the fight against cervical cancer. I really, really can’t wait to see how it will turn out. Surrounded by all that pink. Such happiness! Which brings me to a more serious note. This will be a fun and happening party, yes, but it comes with an earnest message. And it’s not just for the girls. The message is that we can totally prevent cervical cancer from happening to ourselves and our loved ones. This cancer claims the lives of one to two women every five days in Singapore. That’s like 100 lives a year unnecessarily wasted. WE have the power to reduce this number to 0. We do. By learning about the ways to prevent cervical cancer. That’s why this is not only for the ladies. Men also have female loved ones to protect, so you can play a part by telling your loved ones about this! One of the ways to prevent cervical cancer is to receive a vaccine against the HPV virus (which causes the cancer). The recommended age to start being vaccinated is 12 because girls of that age can be infected by the HPV virus. But it’s okay if you weren’t vaccinated at 12. Females of all ages should consider getting the vaccine. It’s just that the earlier you do it, the earlier you are protected. Don’t wait till it’s too late. In response to the POCC call for action, I made Nanny Wen get the vaccine together with me! We decided to go to Karri Family Clinic, the one owned by Dr Leslie Tay from ieatishootipost.sg because we know his clinic offers the vaccination against cervical cancer. He’s such a kind, friendly doctor, so the first thing we did was to admit our fear of injections. He started shaking up the muscles on my shoulder and arm, all the while chatting with me and Nanny Wen. And then, while he was still talking, I suddenly felt a quick little prick in my upper arm and it was over. Dr Tay is cool. He has apparently mastered the art of distracting patients while administering injections so that it’s hardly painful. So, when it was Nanny Wen’s turn to get the jab, she, too, got surprised by it even though she already knew his trick. That was very good. We both got our first cervical cancer vaccination without much trauma. It was even a little fun. Haha. Oops, that was a rather long sidetrack. Let’s get back to talking about the really fun stuff! Well, the POCC Pink Party’s not till next Saturday. In the meantime, you can get ready for it by getting a spa treatment! 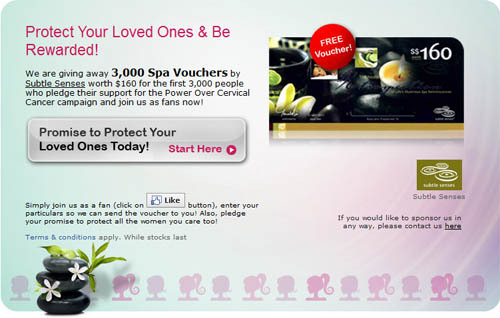 3,000 spa vouchers by Subtle Senses worth $160 each will be given away to the first 3,000 people who pledge their support for the cause! While you’re at it, do also head over to the POCC website to pledge your support there. POCC aims to have 20,000 pledges. Please help us reach that figure! You can help by clicking at the Pledge button at the bottom of the page! Thank you for your support. 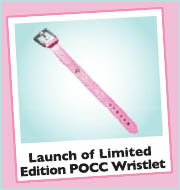 I hope to see you at the POCC Pink Party! POCC PINK PARTY will be held at Zouk on Saturday, July 24, 2010. And don’t forget the important message. Stay protected! Can’t wait for the event!